United keen on landing Manolas? The Red Devils were linked with multiple centre-backs during the summer including Toby Alderweireld, Jerome Boateng and Diego Godin but ultimately, they failed to pursue any of the targets. However, with the transfer window reopen, it appears that the hierarchy have stepped up their search for a new centre-back and Manolas has been earmarked as the prime target with his release clause standing at £32.5m, TMW reports. 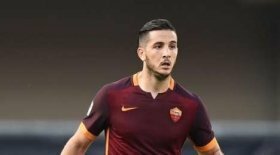 Manolas, who is widely regarded as one of the best central defenders in the Serie A, has previously been on the radar of Chelsea and Arsenal with the latter said to have failed with an approach during the 2017 winter transfer window. Nonetheless, he has stayed put with the Giallorossi, although his reluctance to sign a new contract appears to have invited interest from top European clubs. Manolas has made nearly 200 appearances for the Serie A side since joining them from Olympiakos more than four years ago.